Welcome to The Denture Practice by OTS Dental. Established for many years as one of the leading providers of dentures in Edinburgh and Scotland, we pride ourselves on using the latest cutting-edge dental technology. Visit our new custom denture laboratory and clinic in Edinburgh and discover the great space we have created for our patients. Our ethos is to provide consistent high-quality products with a smile. You can be guaranteed of excellent, friendly service and natural-looking dentures that work for you. 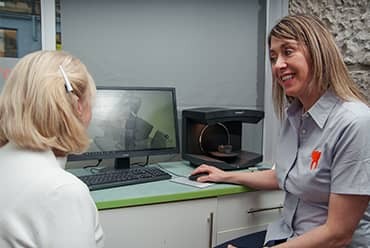 OTS Dental is a dental laboratory based in Edinburgh, Scotland who provide fixed and removable prosthetic and orthodontic appliances to dental practices around the country. We also offer a direct denture service to patients, delivered by our Clinical Dental Technician, Caroline Kirkpatrick. With years of experience, cutting-edge dental technology and friendly service, you’ll be in safe hands with OTS Dental. At OTS Dental we construct our dentures with the best-sourced quality materials. Using only the most modern methods, we have installed a digital workflow within our lab, and are working towards becoming an all-digital lab provider. We’re here to help you. 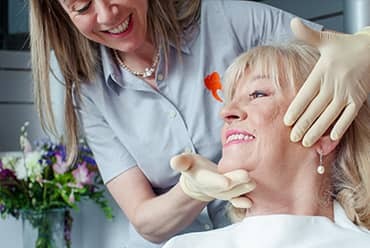 As a direct denture provider, we have experience in delivering bespoke denture services to customers in Edinburgh and beyond. We put patient care first. Visit our Edinburgh practice for a friendly, warm welcome and to find out how we can help. For dental practices, we also offer a technical service, providing a full range of laboratory products. Get in touch to find out more. This is our new facility, set up to provide a direct denture service to patients in a relaxing, comfortable environment. We also have an on-site laboratory facility where we construct dentures. Led by Clinical Dental Technician, Caroline Kirkpatrick, expect an empathetic and understanding approach to your denture problems. 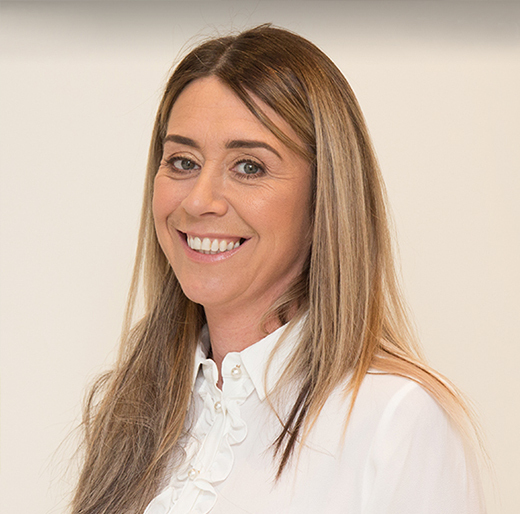 With over 24 years of experience in dental technology, Caroline has an in-depth knowledge of her trade, in particular in the field of crafting and creating bespoke, comfortable dentures. A graduate of the prestigious Edinburgh Dental Institute. She is one of the few Clinical Dental Technicians who have earned their Diploma in Clinical Dental Technology from the Royal College of Surgeons in Edinburgh. At OTS Dental, we work closely with our clients to deliver the highest quality products. We understand how important it is to use the right materials when constructing our prosthetic dentures, implant supported dentures and fixed implant prosthetic bridges. Our ethos is to stay ahead of the curve, so our team are always learning new techniques and discovering new technologies, ensuring we deliver only the best products. Information and prices for dental professionals only. The new digital workflow we have launched at OTS Dental has given us the ability to produce high quality restorations for dental crowns and bridges. From receiving STL files to sending the final product out, the process is easy and smooth. We use only the highest quality, modern materials for the production of dental crowns and bridges. We provide new Clear Aligners which offer a more cost effective orthodontic treatment. Our digital orthodontic service allows us provide digital study models, indirect bracket transfer trays and occlusal 3D print splints. Moving towards new technology and continuing with the conventional techniques offers a more diverse range of orthodontic appliances for your patients. With over 24 years’ experience Caroline works in all aspects of the business. Clinically, she helps patients with removable prosthetics, providing a direct denture service. Technically, Caroline produces removable and implant prosthetics, as well as working in digital design for dental crowns and bridges and orthodontics. 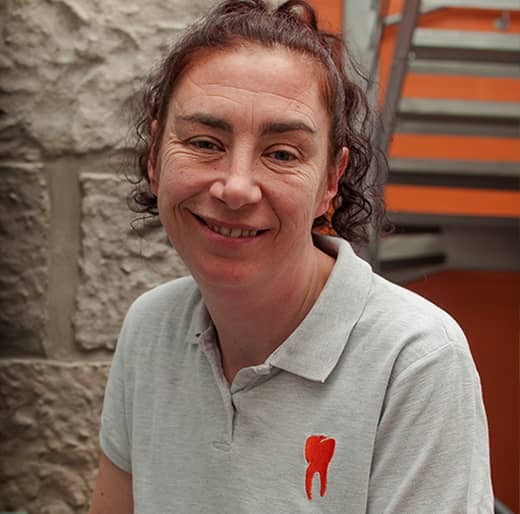 Lorraine ensures everything at OTS Dental runs smoothly. She manages the running of the laboratory, from logistics to managing workflow time scales, as well as looking after accounts and office administration. Lorraine has also recently trained in digital design orthodontics and is enjoying her new additional role. Rebecca is the lead technician in removable prosthetics and orthodontics at OTS Dental. She manages quality control and ensures a consistent, high-quality workflow. 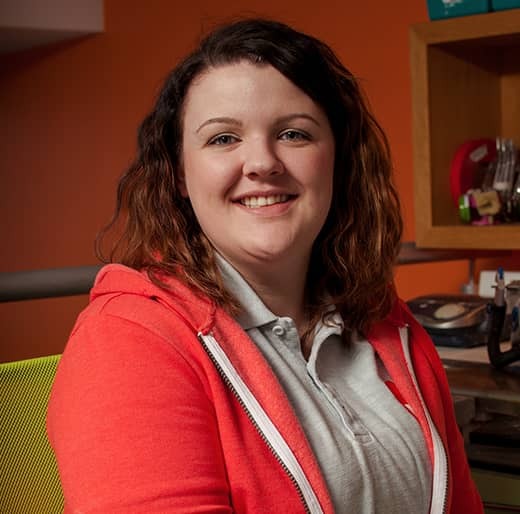 Rebecca is currently training in digital design and hopes to train in fixed prosthetics next. Gregor is our second lead technician in removable prosthetics and orthodontics. Like Rebecca, Gregor manages his own quality control and ensures a consistent, high-quality workflow output. 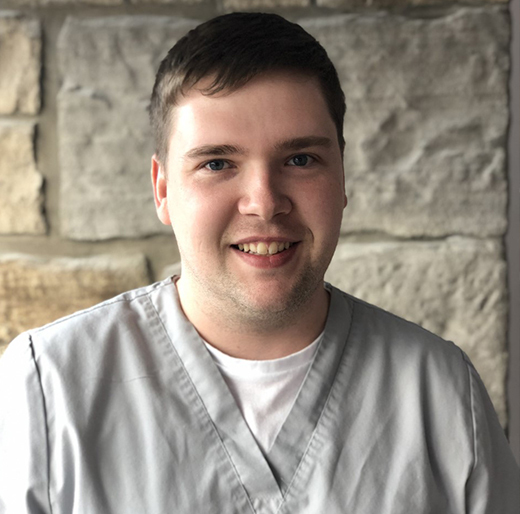 Gregor is currently training in Prosthetic Implant Digital Design and aspires to learn fixed prosthetic procedures next. Megan recently joined the team from Edinburgh College where she began her education in dental technology. 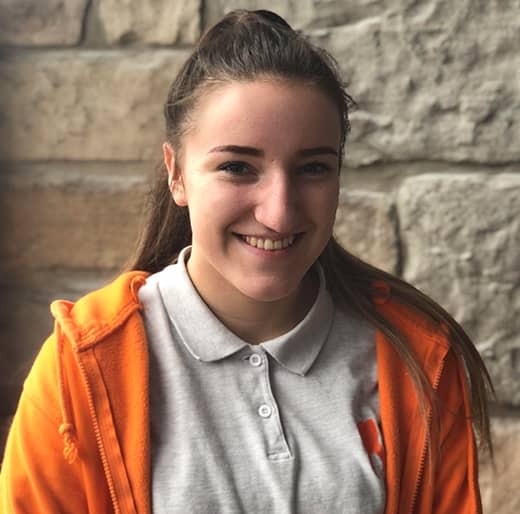 Megan’s already showing great technical skills and ability, and will be continuing her dental studies in Aberdeen to become a registered dental technician. Miriam joins us from Cardiff University as a Trainee Dental Technician. 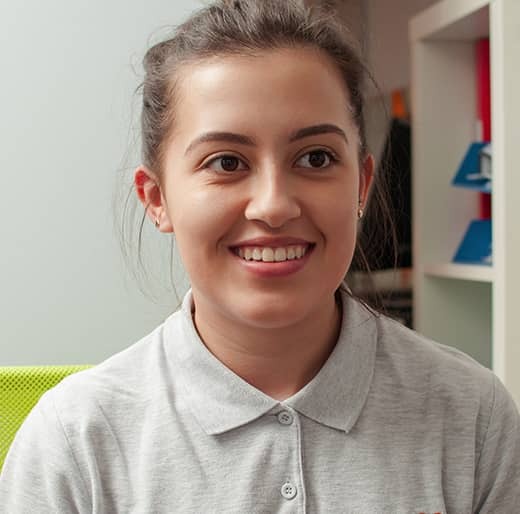 She is currently studying a foundation degree in Dental Technology and his been a member of Team OTS for six months and has went from strength to strength and will continue to learn and grow with OTS whilst studying towards her degree. Please use form below to get in touch regarding any of our services.